This is a rectangular Boar’s Head Tobacco porcelain sign. 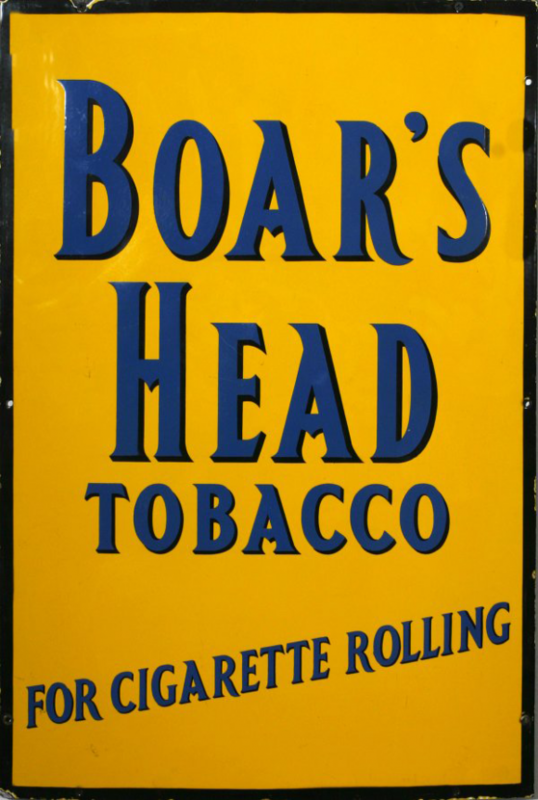 This particular Boar’s Head Tobacco sign features blue text against a yellow background. It reads, “Boar’s Head Tobacco, For Cigarette Rolling” and has no other design.